Sebastian Vettel is confident Ferrari will not repeat the same mistakes as they made in Australia when they return to the track in Bahrain next weekend. Vettel qualified in third-place, ready to capitalise on any mistakes made by the Mercedes top-two in Lewis Hamilton and Valtteri Bottas. But rather than capitalise on the mistakes, the German made mistakes of his own; likewise his team Ferrari. Red Bull Racing driver Max Verstappen managed to overtake Vettel in lap 31 and drove an excellent race following the move to claim the last podium spot. New Ferrari driver Charles Leclerc was in fifth-position and gaining on Vettel swiftly, until team orders told the 21-year-old to hold position and not to overtake his new team-mate in Melbourne. 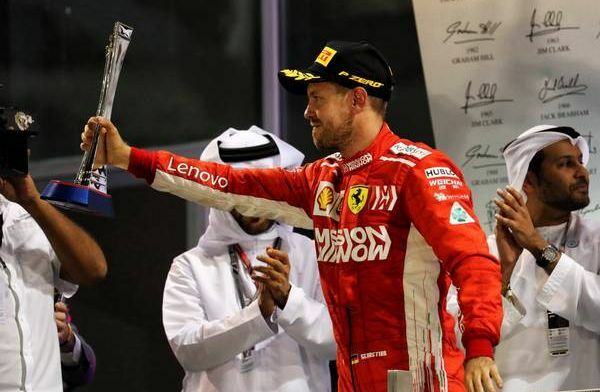 It was far from an ideal weekend for Vettel, Leclerc and Ferrari, but the four-time world champion is adamant Scuderia will not repeat the same mistakes next week as they prepare for round two of the F1 season in Bahrain. "I think we have all the tools, all the ingredients that we need," Vettel said, as quoted by GP Fans. "We have a good car, we know it. Overall, we're not competitive enough (in Australia), but we will be back. "Last year we left winter testing with problems on the car. It wasn't behaving the way we wanted it (to), the way it should. This year was the opposite, the car was behaving the way we expected and it felt very good. "That's why we came here last year and the balance wasn't right, because we had to cover up. We had a very poor rear end last year and felt we had to trim the car towards understeer a lot. That didn't feel great. "We managed (in Australia) last year, and the race-pace was fine, but we weren't there in qualifying. We got lucky in the race, but I think by Bahrain, we had fixed all the issues from winter testing last year in the first race, and that's why I think we all of a sudden unlocked a lot more pace this year. "This year, the problem that we have has nothing to do with what we have seen last year. Still all the car and all the numbers and so on make sense also, but clearly we're missing something. "I'm sure we'll find something because we know that the car is better than what we've seen, not just (in the race) but the whole weekend." "But rather than capitalise on the mistakes, the German made mistakes of his own; likewise his team Ferrari." Maybe the author watched a different race than the rest of us. Vettel made zero mistakes in Australia. Ferrari made zero mistakes either. Yes, they could not correct the balance issue or lack of downforce but that is not making a mistake. Haters will hate. It was a mistake bringing Vettel for tires too soon. Thus, he didn't have the tires to compete at the end of the race. Had Charles not had an off track excursion and been allowed to pass Vettel, he may have been able to challange for 3rd. Same sort of strategic errors as last year.